Endodontics is the dental specialty concerned with the biology of the interior of the tooth. This branch of dentistry is dealing with the treatment of diseases of the dental pulp (soft tissue inside the tooth that contains nerves and blood vessels). 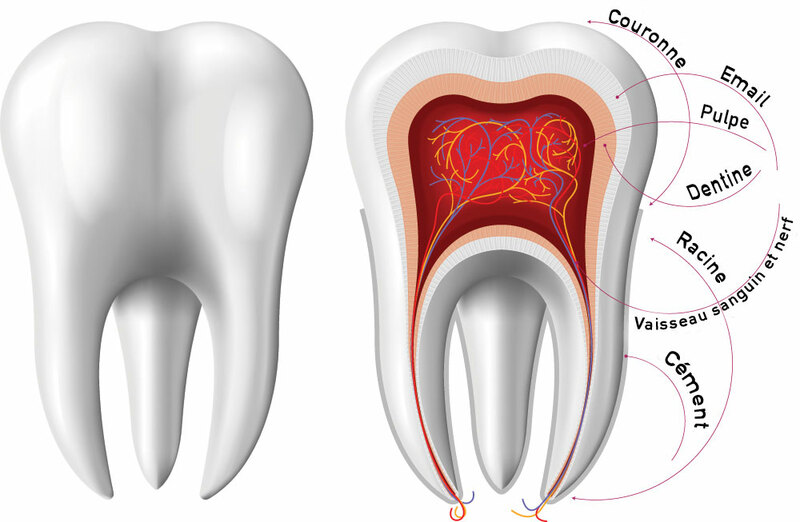 Root canal treatment, also called endodontic therapy, is necessary when the pulp of the tooth is infected following significant caries, cracks in the enamel or a trauma (shock). If the inflamed or infected pulp is left untreated, it can cause pain or lead to an abscess. This treatment involves the removal of the infected pulp, the disinfection, and the filling and sealing of the root canal system. The tooth is then restored with a permanent filling or a crown. To clean the inside of the tooth, we use the combination of a mechanical method (instruments that remove the debris inside the pulp chamber and root canals) and a chemical method (desinfecting solution injected into the tooth to kill bacteria). To remove the pulp from the root canals (mechanical method), the dentist uses precision instruments (endodontic files). These can be traditional manual files or electrically-powered instruments (rotary endodontic instruments). What is rotary endodontic technology? Since the 1990s, electric hand tools are used during endodontic treatments for the cleaning and shaping of the root canal system. With a continuous, slow and steady rotation, these instruments made of a nickel-titanium alloy are more flexible than the traditional stainless-steel manual files. Activated by a small electric motor, they make the root canal procedure much faster than with conventional files. They are also equipped with a detector that allows the dentist to locate the tip of the root and to avoid perforations.